Most of our rough diamonds come from Russia. 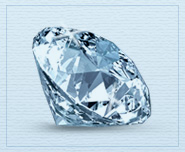 The diamond mines in Russia are known for their superb quality and purity. Recognizing the superiority of the rough in this part of the world, our diamond buyers travel all the way to the Asian part of Russia, to an area called Yakutia, to obtain rough diamonds of the best molecular structure. The rest of the rough diamonds are purchased globally from a legitimate diamond exchange (also called Bursa) like the Bursa of Antwerp in Belgium and the Bursa of Ramat-Gan in Israel. 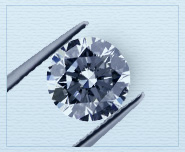 After cutting and polishing, the diamonds are forwarded to our main offices in Israel. Here, gemologists inspect the diamonds under a microscope, assign a pre-grade, and send the diamonds to the lab for clarity enhancement. Post-enhancement, the diamonds are sorted, re-inspected for final grading, priced, and put into individual bags (known as “Brifka”) for shipment to the New York office. 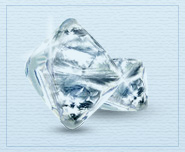 Finally the diamonds arrive to 47th Street, the heart of the New York Diamond District. Here, the diamonds are sorted again and sent to a gemological laboratory for certification. 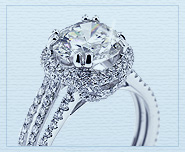 Once inspected and certified by a third-party grader, the diamonds are mounted in beautiful pieces of jewelry. Our jewelries are been photographed and posted in our website and eBay store.